WSM: Let’s start with our typical interview questions. What’s your name, where are you from, and how long have you been wakesurfing? 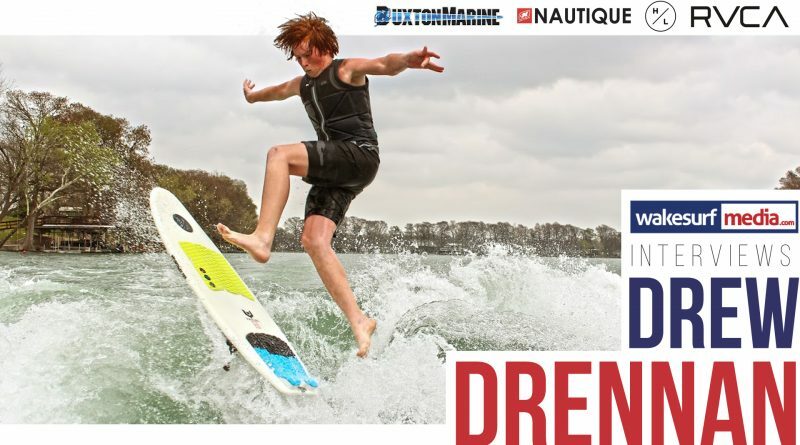 Drew: My name is Drew Drennan, I am from New Braunfels Texas and I have been wakesurfing for about six years. WSM: Prior to wakesurfing, were you doing any other towed watersports? Drew: I wakeboarded a little bit and even won a world championship as an amateur before I got into wakesurfing. WSM: How about non-towed watersports? We know you were heavy into motocross back in the day, what caused you to make the switch from the dirt to the lake? Drew: I was deep into motocross, but some pretty major injuries caused me to make my way out of that sport and into a sport that was a little easier on the body. WSM: You’ve been riding for Hyperlite for a few years now. How’d you get hooked up with them? Is the Party Shark as fun to ride as it looks? Drew: Well, the way it all started with Hyperlite was actually at a local Texas competition called Barrel Boss. While I was there I got to know the rep for Hyperlite in this area, Brian White. We got to talking for a while and he said he wanted to help me out. From that day forward I have progressed with them as a team rider and helped them promote product and do good things for the sport. The Party Shark is by far one of the most fun boards I’ve ever ridden, it’s great for everyone form the beginner to the pro level. The straps allow you to have more control over the board which in turn helps you learn tricks that might be difficult on a board without straps and then take the feeling back to your normal board. WSM: Do you remember the first trick you learned? How long did it take you to get it? Drew: The first trick I learned was a 360, I remember it took me hundreds of tries to finally get one. But, once you get the 360, the tricks following come at a much faster rate. WSM: We know you ride both skim and surf at a very high level. How do you manage switching between the two? Is it more of a mental thing? Or, do you have enough muscle memory that you adapt to it without much thought? Drew: Skim and surf are two very different types of riding. The way I think about it is that when I’m on the skim I don’t have to get as much pop or be as aggressive on the board because there aren’t any fins. When I get on the surf I know I have to go big to get the fins out of the water to do tricks like shuvs so it’s more of a mindset along with muscle memory. Being able to switch back and forth between these two styles keeps it fun and exciting for me out on the water. WSM: Tell us about your gear setup. What board/boat/anything else are you riding this year? Drew: I am riding behind a Buxton Marine Nautique G23 on a Hyperlite HiFi, Varial riot, and Party Shark. As far as clothing goes RVCA, picked me up this year and is helping me with all my threads. WSM: When you get to ride back home, who’s usually on the boat with you? Drew: Normally it’s some of my competitors like Jake Breedlove or my family or my friends. I mean you just never know who might come by and want to shred. 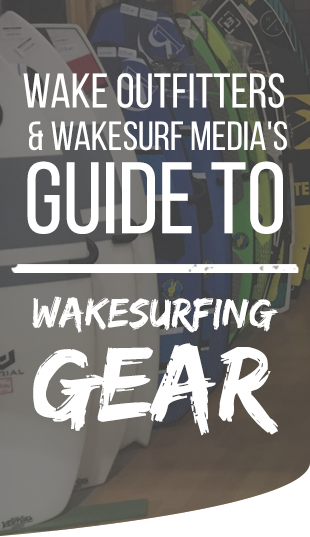 WSM: Where would you like to see wakesurfing go in the future? Drew: I would like to see this sport grow even more and have additional people start to participate in competitions. Also, have more competitions where it’s all about everyone having fun not just being good. It would be really great to see these competitions have a lot more spectators as well. WSM: What advice would you give a newcomer to the sport that’s looking to progress and learn new tricks? Drew: I would have to say don’t ever give up. If you can’t get a trick just keep trying it till you get. It’s like I tell everybody if you’re not falling you’re not learning, but remember the most important thing is always have fun. WSM: Do you have any sponsors, friends, or family you’d like to thank? Drew: I would like to thank my parents, my friends for coming and pulling me, Phil and Michelle and the rest of the Buxton marine family, Nautique, Brian White and Greg Nelson at Hyperlite, and I would also like to thank Kyle Bufler at RVCA. WSM: Would you like to plug any social media?